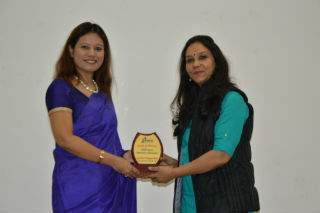 Samanvay- The HR Club of JIMS organised HR Branding contest- ‘Design & Deliver’ on 24th November, 2018(Saturday) for PGDM (2018-20) batch under the guidance of Dr. Neelam Dhall, Professor, JIMS. 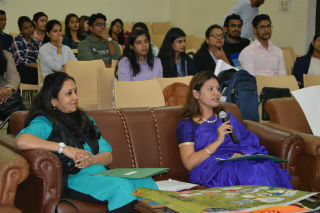 The contest included two rounds, namely-(i) Poster/Collage Making on the theme- ‘HR Branding in Practice’ and (ii)PowerPoint Presentation on the theme. 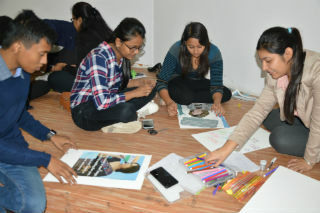 Students actively participated in the contest and displayed a great deal of enthusiasm during the entire event. 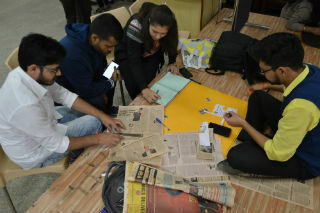 Total ten teamscomprising of four members each got registered, out of which seven teams participated in the event. In the first round, each of the seven teams prepared amazingly colourful & interesting posters and collages depicting the theme through cut outs/drawn images, news items & research articles. 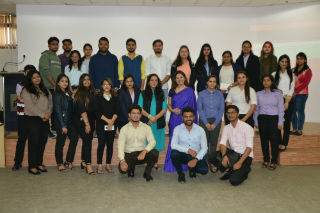 The second round included power point presentation by each teamwhich focussedprimarily on current HR branding practices in corporate.The teams were evaluated by a panel of two judges, namely-Radhika Gupta, Founder & CEO-Crystal Triangle, (JIMS, Alumnus) and Dr. Neelam Dhall. The judges evaluated the participating teams on the basis of content knowledge, creativity and presentation. The team from PGDM, Section-C which included Ashok Kumar Sharma, Nidhi Goel, Sachin Sinha & Varun Pratap Singh, won the 1st prize and was awarded a cash prize of Rs. 2500/-. 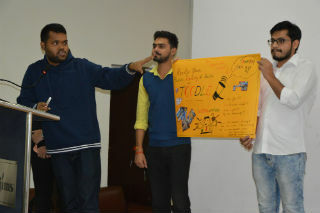 The winning teampresented a novel idea of ‘Toodle way’ a hypothetical company and recommended some innovative strategies for it’s HR Branding. The 2nd prize of Rs. 1500/- was given to the team from PGDM(IB) batch that comprised of Akash Verma, Saumya Gupta, Neetika Sahu & Chandni Grover. The team discussed the HR branding practices of Google and employee retention strategies of some of the top notch companies.The 3rd third prize of Rs.1000/- was presented to team from PGDM, Section-B that included Dakshita Drolia, Shankar Singh, Supriya Kushwaha & Vijay Laxmi Singh. The team deliberated on the HR branding practices prevalent in several companies and also shared the findings of their survey which they had conducted in context of HR Branding.Overall, the budding managers at JIMS were elated as they got an exciting platform to not only explore & comprehend the theme of the contest but also to showcase & disseminate that understanding in most creative & meaningful ways.